Is Your Time on Social Media Being Wasted? Yes, you read that correctly. Social networking can be a huge waste of time. Even if you’re doing it correctly, there may be more efficient means to reach better leads, and quicker ways to build authority. Often, when pitching to a client, it is tempting to list the enormous range of social network profiles you can make for them. Just reading off five or ten is usually enough to mesmerize them, let alone offering to manage them all. Tools like About.me have sprung up as a way to track dozens of networks, and list them for potential followers. The problem is that setting up 90 different social media profiles is a major waste of time. Social networking requires interactions and depth to build upon relationships, and spreading yourself too thin will only guarantee that you won’t do well on any network. Of course, you will want to be on Facebook, Twitter, and YouTube. LinkedIn if you offer a service or hire specialists, and possibly Google Plus if their demographic seems to be a good fit. Each network requires a minimum time investment to properly manage, and the time you can free up can be dedicated to finding outlets that have the potential of working better than any of the big three networks. If you’ve set up basic profiles on Facebook and Twitter, you should already have a strategy in place. You should have a good idea of what your target customer looks like – and the demographics that customer represents. By matching your ideal customer to networks that cater to their demographic, you can take advantage of a smaller network of focused users. Very few businesses will need to be on all of the networks. If your client is a photographer or jeweler, Pinterest is definitely a sound investment. If your client is a plumber, Pinterest may not be the best outlet for their service (but ServiceMagic.com, Angie’s List and Yelp! are all important communities). Figure out who you are trying to reach, and then target the social network that specifically caters to them. One of the simplest demographics to target is gender. If you’re selling tampons, there really is no need to target men in your advertising. If you’re selling a cure for Prostate Cancer, women aren’t high on your targeting list. It isn’t as cut and dry as you’d think though. You may be inclined to only market condoms to men, but for the last several years high end condoms saw a surge in the female demographic. Over 40 percent of the consumer buying Trojan brand condoms are female. With larger profit margins, females could easily account for the majority of revenues for a high end condom manufacturer. Some of the most successful campaigns targeted the less obvious gender with creative marketing. 4 Enough generalizing about gender. Where are the cool kids today? 5 How about our parents? What site are they on? 6 Where else should I be targeting? Let’s start with the big one: Facebook. At this point, with at least a 4.5% user share in every age range (including that pesky 14-17 and 65+) every business should have a Facebook page simply because almost every customer has a Facebook profile. Whether or not they should be advertising on Facebook, though, is a different story. Everyone’s favorite pin board, Pinterest, is perfect for anyone trying to connect with their feminine side. The highly visual site has a user base that is 80% female, making it an essential for any fashion-related or otherwise female-leaning site. Measured click-through rates for clients can be far higher on Pinterest than Facebook for gender-specific items simply because of the massive gender imbalance that exists. If you’re reaching out towards men, tech-heavy sites are your best bet. Slashdot, Reddit, Quora, and Google+ are all heavily skewed towards guys. Sites that lean more towards visual or personal elements, like Blogger and Tumblr, tend to have a majority of female users. There are several visual sites, like Pinterest, that are doing their best to build a large male user base (such as Manteresting and Gentlemint,) but so far they’ve yet to reach a sizable market. Early adopters should still be taking notice. Enough generalizing about gender. Where are the cool kids today? Targeting youths is tricky on the internet. You’re not allowed to target ads towards users under 13 (at least not until Facebook’s lobbyists have their way.) Until then, your best bet is finding a market with a majority of 14-17 year old users. Twitter and Tumblr are two of the few with at least 5% of users under 17. Myspace is also in that group, but due to their recent rebranding (for the 5th time? 6th? Is anyone keeping track?) it’s hard to say what the current user base looks like. How about our parents? What site are they on? Actually, quite a number of sites. In fact, usage rates of social networks amongst older Americans has been steadily rising over the past several years. The social network with the oldest user base is LinkedIn, with an average user age of 44 years old! This information is crucial to clients in industries trying to target those who are currently thinking about retirement planning. Yelp! is another large network with an older average user age (42.2 years old.) This little fact is highly applicable to the more established restaurants that are our clients, as switching the majority of their advertising budget from Facebook to Yelp! paid off handsomely. Where else should I be targeting? You may be surprised how specific niche networks can get, and how active some of those networks actually are. After figuring out which of the major social networks you want profiles on, always research to see if any niche platforms are applicable for your clients. Dogster & Catster have over 3 million pet profiles! That’s an amazing opportunity for any veterinary office or pet supply store. Communities like Dogster do the hard work of grouping your target demographic for you. If the community is active, your investment will generate more qualified leads. Are your customers readers? With the death of newspapers comes social networks for those newspaper readers: Goodreads is just one example of some of websites that this more mature demographic have escaped to. If you’re managing social media for a bar, Untappd is an essential place to connect with those that have an appreciation for beer. The list of niche social networks is as endless as the internet itself. Make sure that you do the research to find your customers, no matter how unique the demographic is. You will be surprised how many condensed, topical communities there are on the Internet. Ning is a service that allows anyone to create a social networking website about anything. There are extensive communities using Ning focused on everything from DIYDrones.com to Kreg Jigs. You will need to be creative when reaching out to these smaller communities; posting links and spamming members will get you nowhere fast. The Kreg Jig Owners Community is a network just for people that own and use Kreg woodworking Jigs. A woodworking blog would be very attractive to almost the entire audience. By marketing to a smaller community that has already been developed with your niche in mind, everything you do becomes more efficient than it would be through a general network like Facebook. You have the nearly the same capacity for growth through someone else’s community as you would if the community was something you had developed to support your own digital campaign; someone else has done all the heavy lifting and taken the investment risk, but you can still reap the rewards. There are probably already a few established communities focused on your topic or industry; if there isn’t, take this opportunity to create one. You generally want to build your status within the community and network with individuals until you become well known within the group. Before long members will be posting links for you and your website will be considered community friendly. If you’re important enough to the group, you’ll have a rare opportunity to inherit the entire community if the network you’ve targeted ever closes or the moderators become inactive. When two topics that are contextually unrelated share a common audience, they’re described as a random affinity. An example would be cycling and a preference for gluten free foodstuffs. Even though the topics are unrelated, many cyclists prefer gluten free food. This audience connection provides a rare opportunity to connect with customers in areas where your product isn’t exerting constant pressure to sell. A great example of marketing through a random affinity is the American Express Open Forum. Even though small business is somewhat connected to credit, the resource that the open forum provides isn’t directly connected to applying for a card. By creating a community of small business owners, American Express has condensed users with common interests into a group that will can be delivered a more targeted message in the future. They’ve also asserted their common interests with a broad base of customers. Another good example is Red Bull’s marketing through extreme sports and flight. Energy drinks and skateboards didn’t have anything in common until Red Bull realized that a sizable portion of their customer base were interested in extreme sports. By using this kind of entertainment, Red Bull has increased the opportunities they have to market their product virally. Some publicity stunts like Felix Baumgarter’s space jump have set YouTube records and put the Red Bull brand in publications ranging from the New York Times to ESPN. Have you spent time researching which social networks you should be targeting, or do you just apply a blanket approach? 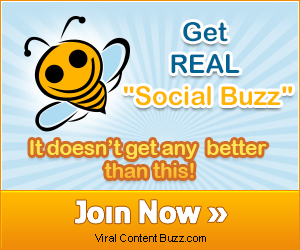 Are you on any of the niche social networks? Is there a network targeted to a market that you can’t even believe exists? Flynn Zaiger is the CEO of Online Optimism, a digital marketing agency located in New Orleans. He's been helping businesses improve their digital e-commerce prospects for more than a decade. What about income? political views? There are tons of demographics out there just waiting to be capitalized on. I completely agree Marcus. We just covered gender and age in this article because that is the most common publicly available information for most social networks. But by all means, the more specific set of customers that you can target, the better! Very important and useful blog Flynn Zaiger, really great information you shared with us. Now I got detailed information.